A couple years ago, my oldest was turning six years old. She had a Little House birthday party to celebrate. Later that month, she turned her pioneer dress, apron, and bonnet into a Laura Ingalls Wilder costume by adding felt braids. 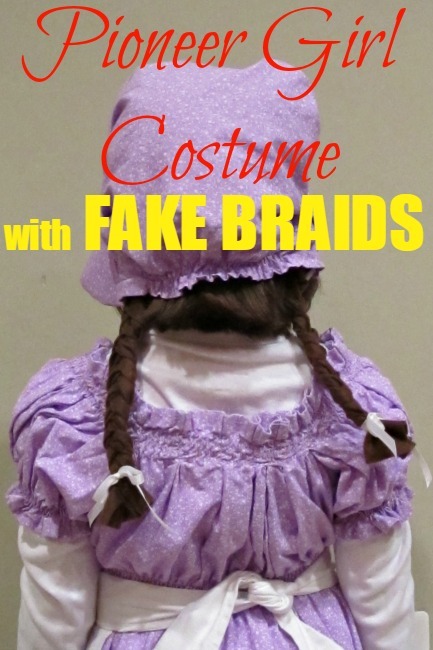 You can make your own fake braids quite easily, and no yarn is needed! My inspiration came from this Rapunzel wig. 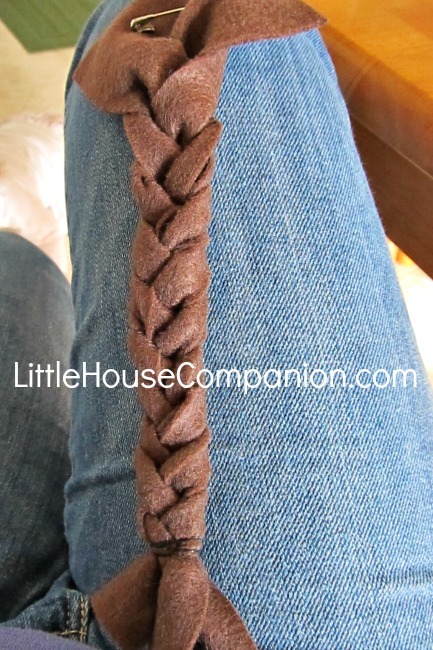 You can also make longer, thicker braids using fleece or a larger piece of felt. 1. Cut felt rectangle felt according to this diagram. 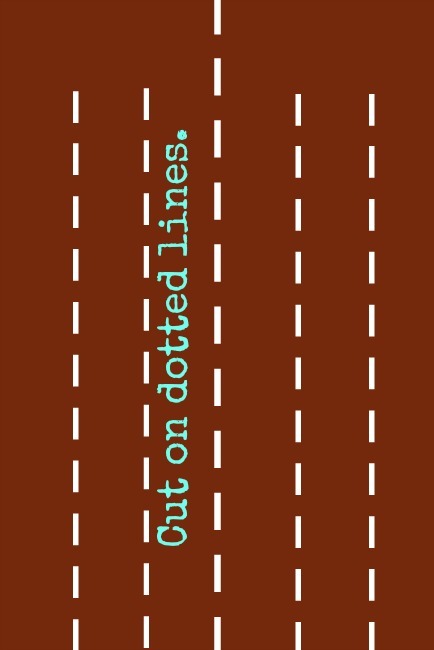 First, cut it lengthwise in the middle. Next, partially cut each half into three equal pieces. 2. Safety pin one half of the felt to your pants or another secure area. 3. 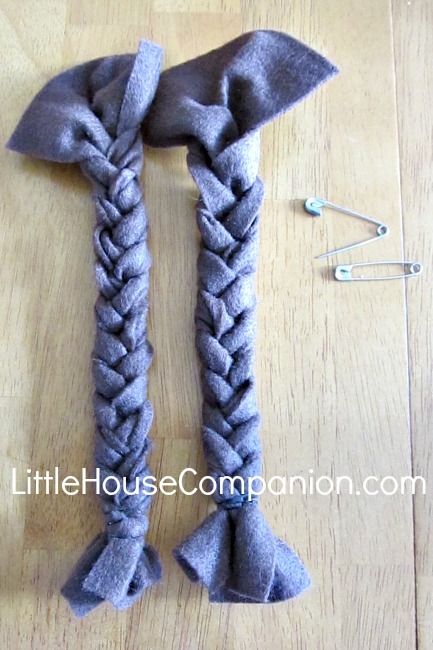 Tightly braid the felt. Secure with a rubber-band. Repeat with the other piece of felt. 4. 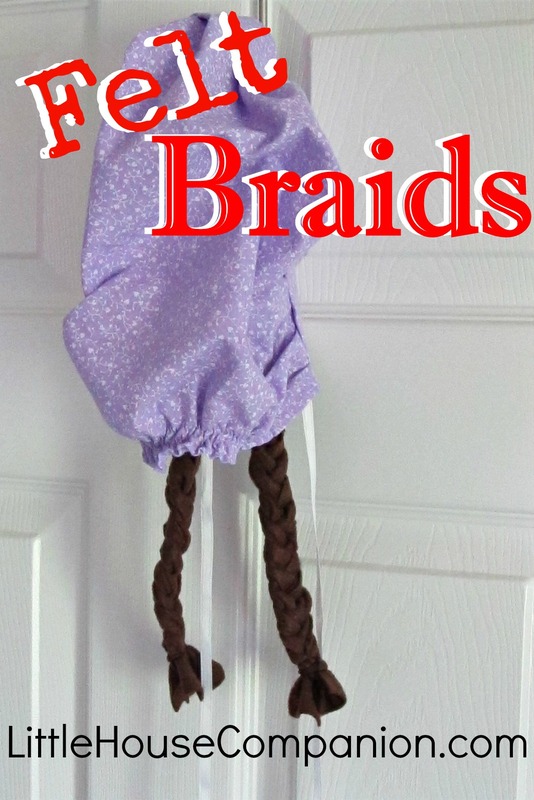 Attach braids to bonnet using safety pins. Add ribbons, if desired. To create a pioneer costume, add an old-fashioned dress and apron. Bare feet are optional. And remember, Mary Ingalls had blue hair ribbons while Laura Ingalls wore red ribbons. Though On the Banks of Plum Creek it says Laura's ribbons were pink.